Encouraging people to lead healthier lives. I’m interested in this because our leading causes of death and disease in Australia are preventable. Getting more exercise, improving nutrition and drinking less alcohol etc helps reduce the risk of disease. Developing ways to help people stop smoking. Smoking continues to be the number one cause of disease in Australia. My research examines ways we can develop systems, programs and treatments to support smokers who want to quit. My research has a focus on vulnerable groups. People with mental illness or drug and alcohol problems, Indigenous Australians and people who are socioeconomically disadvantaged, have the highest rates of disease and health risk behaviours in Australia. The programs and strategies my team develops are often targeted to these social groups in order to try to improve health inequities. To be honest I got into research accidently. I always wanted to be a neuropsychologist because I read Oliver Sacks' books of case studies of brain dysfunction. They were fascinating. Wanting to understand how the brain works was a big driver for me, so I studied psychology at university. When I finished, I got a research assistant job in a health behavior science unit and they offered me a PhD scholarship. My research is very applied – we work directly with the community, not in a lab. So we often see the end results of our research projects, like when participants quit smoking or write us a note thanking us for paying attention to their health concern. That is very satisfying at a personal level. However, in order to reach more Australians, it's also very satisfying when our research influences policy development or is used in health services. Increasing the uptake of our research into policy and community-based programs is an ultimate goal. Professor Billie Bonevski is a health behaviour scientist, NHMRC Career Development Fellow and Professor at the University of Newcastle, Faculty of Health and Medicine, School of Medicine and Public Health with a focus on health equity, translational intervention research, and developing and evaluating primary and secondary chronic disease prevention programs. She leads an innovative program of research focusing on intervention research aimed at reducing smoking among priority populations. She is internationally recognised for her behavioural and community-based research in this field of research, having led numerous randomised controlled trials (RCT) and cluster-RCTs of smoking cessation and multiple health behaviour change interventions. Together with the Cancer Council NSW, Professor Bonevski has devised a research program to explore the opportunities and barriers to addressing smoking within the community social service sector, and the results have helped shaped the ongoing implementation of their Tackling Tobacco Program. The results of a related RCT (Call it Quits) are currently being analysed. The Tackling Tobacco research and partnership with the Cancer Council NSW has led to a second trial examining organisational change intervention for smoking cessation in the drug and alcohol sector. This large trial is currently underway in 33 drug treatment agencies in NSW, ACT, Queensland and SA. 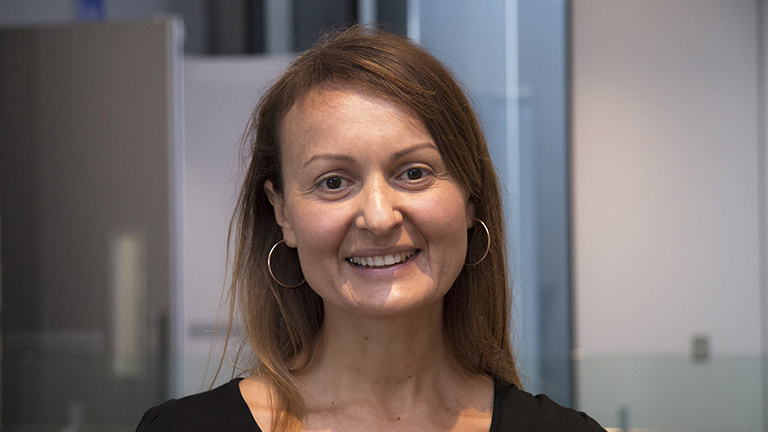 Professor Bonevski was also a collaborator on a large national RCT of financial counselling coupled with free Nictotine Replacement Therapy for low income and financially stressed smokers (with the National Drug and Alcohol Research Centre) and a partnership grant on pulmonary rehabilitation for COPD patients (with Monash University). She has led multiple health behaviour change and smoking cessation research projects with homeless populations, and with people with mental health or physical comorbidities. Most recently Professor Bonevski has been leading studies applying online and electronic technology to health behaviour change including an online health behaviour change program for stroke survivors. In 2016 she was awarded the NHMRC international Global Alliance in Chronic Diseases grant for her work with her postdoctoral fellow NHMRC early career fellow (Gillian Gould) and her research with pregnant Indigenous women who smoke. Professor Bonevski is also a collaborator on a University of Queensland project of electronic cigarettes for smoking cessation among HIV/Hepatitis C patients. To continue doing world-class research seeking to find answers to our greatest behavioural health risks like smoking, drinking too much alcohol, too much sun exposure and promoting healthier behaviour choices.